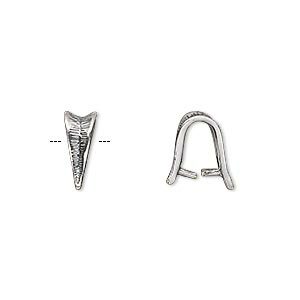 Bail, ice-pick, antique silver-plated brass, 13x4mm textured triangle, 7mm grip length. Sold individually. Item Number: H20-A7612FN Have a question about this item? 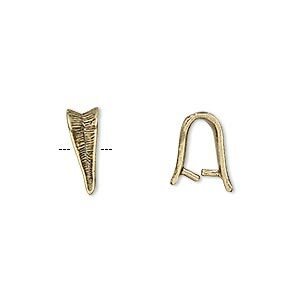 Bail, ice-pick, antiqued brass, 13x4mm textured triangle, 7mm grip length. Sold individually. 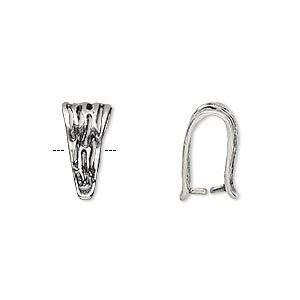 Bail, ice-pick, antique silver-plated brass, 13x4mm triangle with lines, 10mm grip length. Sold individually. 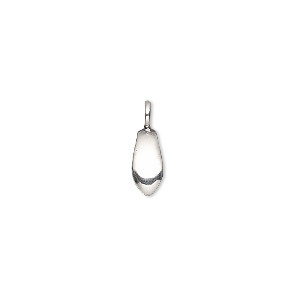 Bail, ice-pick, antique silver-plated brass, 10x4mm plain teardrop, 7mm grip length. Sold individually. 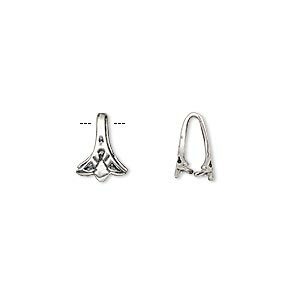 Bail, ice-pick, antique silver-plated brass, 14x8mm fancy triangle, 9mm grip length. Sold individually. 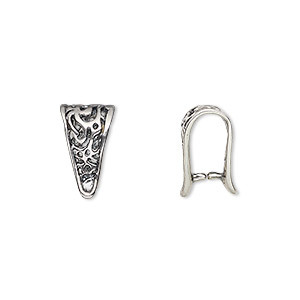 Bail, ice-pick, antique silver-plated brass, 14.5x7.5mm fancy triangle, 11mm grip length. Sold individually. 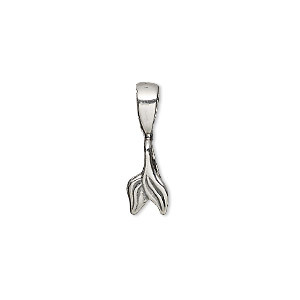 Bail, ice-pick, antique silver-plated brass, 33x11mm branch with leaves, 6mm grip length. Sold individually. 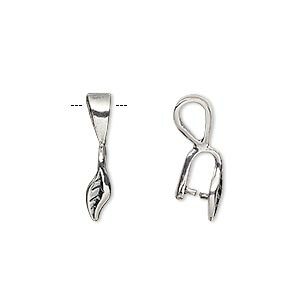 Bail, ice-pick, antique silver-plated brass, 10x4mm leaf, 5mm grip length. Sold individually. 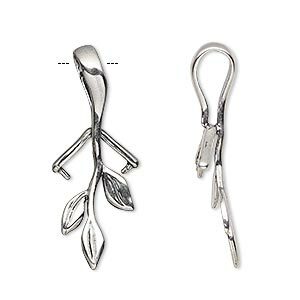 Bail, ice-pick, antique silver-plated brass, 11x6mm double leaf, 5mm grip length. Sold individually. 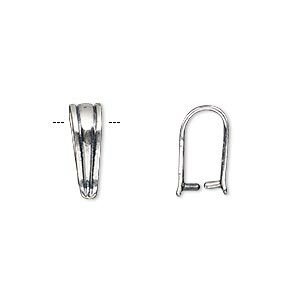 Bail, ice-pick, antique silver-plated brass, 14.5x7.5mm triangle, 10mm grip length. Sold individually. 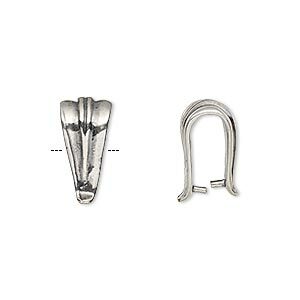 Bail, ice-pick, antique silver-plated brass, 10.5x7.5mm with triangle design, 8mm grip length. Sold per pkg of 2.